1. Santa Barbara locals end up visiting their same favorite dozen or so restaurants, month after month. 2. Visitors to our beautiful beach town get the same dining recommendations, year in and year out. Yes, the view at Brophy's is fantastic and La Super-Rica is legendary, but if you're ready to switch it up a little... well, we're here to help. 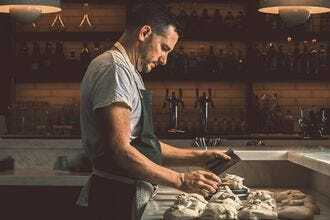 The 10 restaurants on this list are new to the scene and delicious (because that's important too). 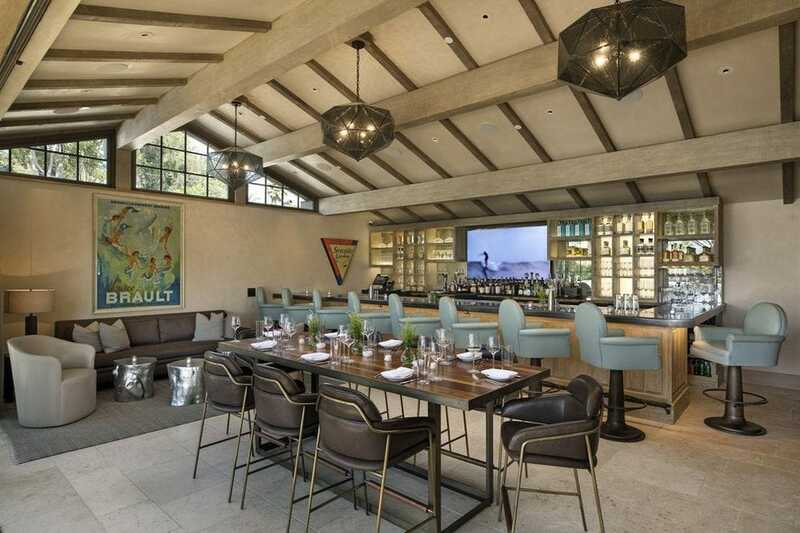 For a flavorful meal in wine country, check out The Bear and Star at the gorgeous Fess Parker Wine Country Inn. Want tandoori octopus? Bibi Ji is your new "unauthentic" Indian dining destination. 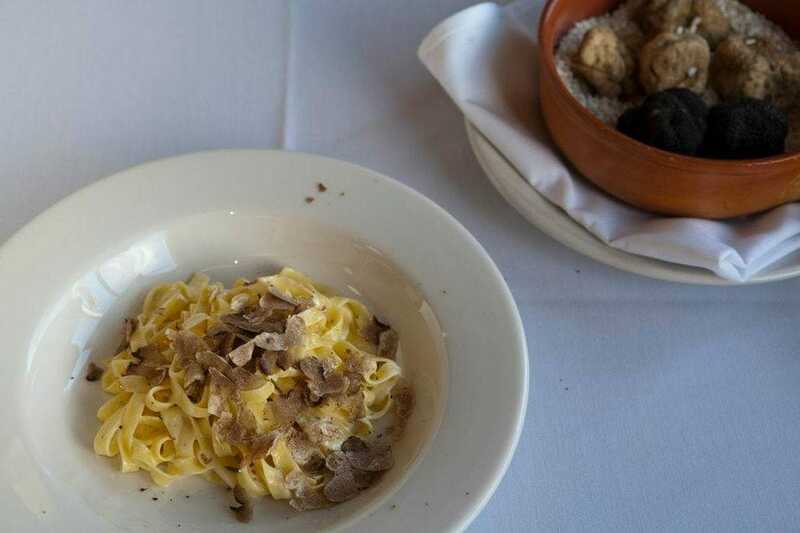 We've got coffee shops and pasta joints and vegan restaurants for you to explore. Get ready to add some new "old favorites" to the rotation! 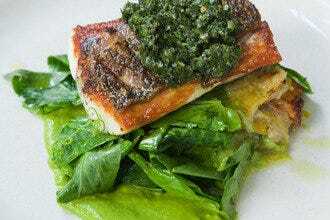 Ca' Dario Cucina Italiana is an offshoot of the popular Ca' Dario Italian restaurant in downtown Santa Barbara. This new restaurant in Goleta serves pizzas and paninis in addition to hearty pasta and meat dishes. The addition of a fryer in the open kitchen means they are also able to serve a few new dishes, like frittura mista, a mix of flash fried calamari, shrimp and scallops. Pull up a seat in the spacious dining room and watch the cooks at work during lunch or dinner. Prices are slightly lower than they are downtown, and there is significantly more parking. 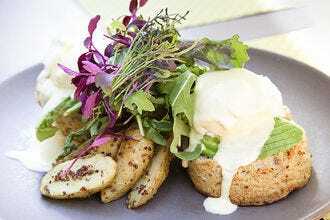 Oliver's is a high end vegetarian and vegan restaurant in the Montecito area. You won't find any crunchy granola or beaded curtains here... or whatever else may come to mind when you think of plant-based cuisine. 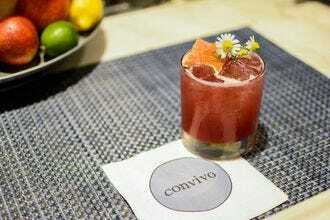 Instead you'll be welcomed by clean lines, great cocktails and a streamlined menu of small plates, salads and entrees. People love the artichoke "crab cakes" and seasonal flatbreads. You can absolutely make reservations and should try to get a spot on the dog-friendly patio if the weather is nice. It's a great destination for health conscious eaters, but even those who may be hesitant to try vegan food will find something to love. Want good food fast but not fast food? Check out Urkeb in downtown Santa Barbara. 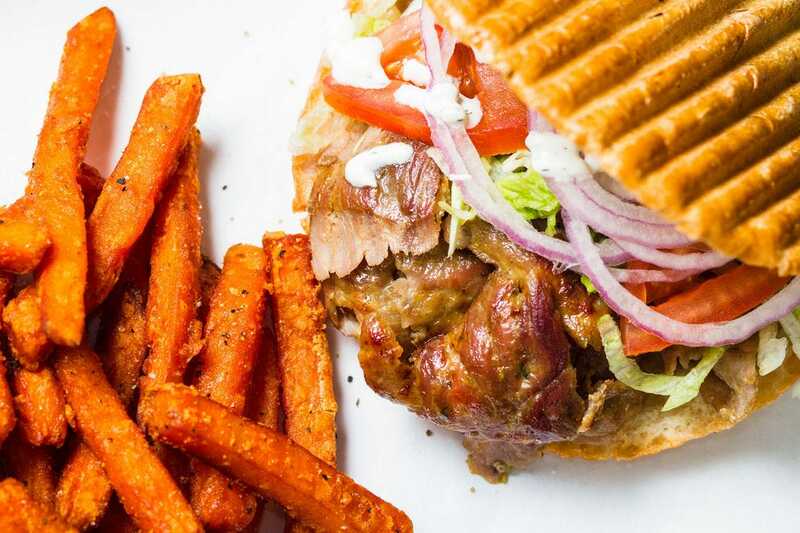 Serving up fresh doner kebab made to order, Urkeb has something for everyone. Get fresh beef, lamb or chicken grilled on a vertical rotisserie, tucked into the traditional warm bread, wrapped up in a thin tortilla or topping a salad. Vegetarian? Try the classic German veggie patties instead. Then pick your veggies and sauces to have a meal made just the way you like it. If you've been to Germany, you'll feel like you've been reunited with your favorite street food. And if you haven't, well now you can pretend you've been without have the splurge on the plane ticket. If you like the idea of food trucks but wish they came with a more permanent address, consistent service and a seemingly endless supply beer, you're going to love the Nook. Operating out of a modified shipping container affixed between two tap rooms, Nook serves up affordably priced comfort food in Santa Barbara's Funk Zone. Think burgers, sandwiches, fries and salads - but with a twist! Chef Norbert is one of the better known chefs in town having spent decades helming fine dining restaurants in the area. Now you can eat food made by a fancy chef with a less fancy price tag. 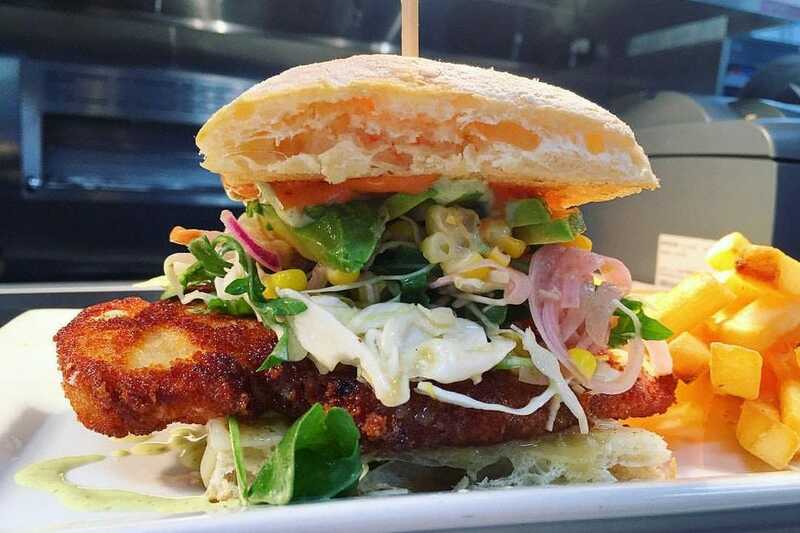 Think housemade bratwurst, blackened rockfish tacos and foie gras burgers, all under $20. OMG tacos. If you're looking for a hot, corn-wrapped Mexican classic just like Abuela used to make, this is not the place to go. 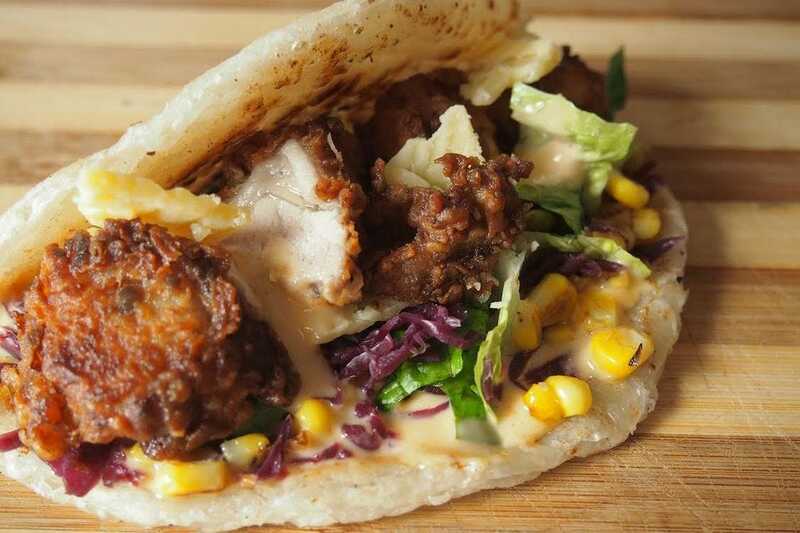 If, on the other hand, you're open to embracing the taco as just something delicious with something else delicious folded around it, Goa Taco might be just the thing. Goa serves paratha tacos that consist of a flaky, warm piece of Indian flatbread wrapped around fillings like slow-roasted pork belly, five-spice confit duck and paneer cheese with fried chickpeas. Goa uses the highest quality ingredients and hormone free meats and strives to make all its fillings, salsas, sauces and meats in house. Smithy Kitchen + Bar is a completely remodeled bar and restaurant in the arts district of downtown Santa Barbara. Just across the street from the Santa Barbara Museum of Art, this eatery features a bright interior with equally bright menu items. Grab a bite at one of the numbered tables or post up at the bar for a cocktail or two (they're really quite good). The true gem here is the back courtyard, presided over by 100-year old olive trees strung with lights. 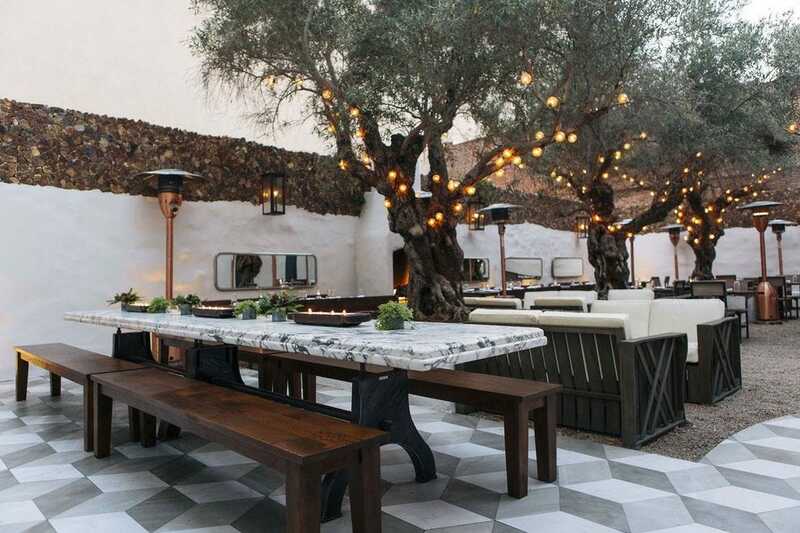 Completely hidden from the street, this is one of the best private patios in Santa Barbara, ideal for a casual brunch or memorable special occasion. If you like really good coffee - and you don't mind lines - head to Handlebar for locally roasted beans and some delicious pastries and small plates. 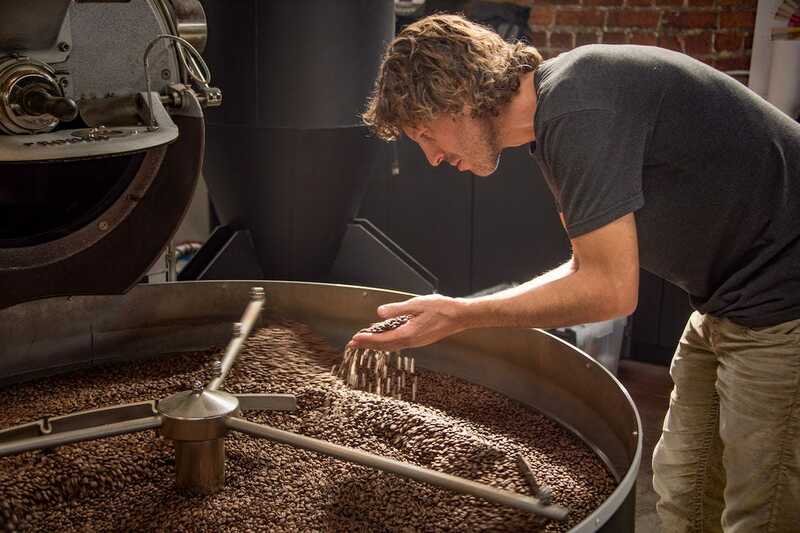 This coffee shop has it all: in house roasting, a sunny patio and even beer on tap! Hungry? Be sure to try the housemade donuts. More like a very delicate sugar bun that's been filled with goodness like peaches and cream or zesty lemon fluff. Flavors vary daily. 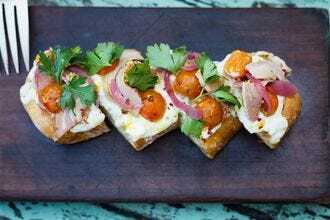 Handlebar also serves some of the most photogenic avocado toast, fully loaded, topped with a soft-boiled egg and sprinkled with pomegranate seeds. The parking lot is disproportionately small given the popularity of this place, so be on the lookout for street parking as you near the building. If taquerias are just a little too casual for you, go to Santo Mezcal for a fancy Mexican feast instead. 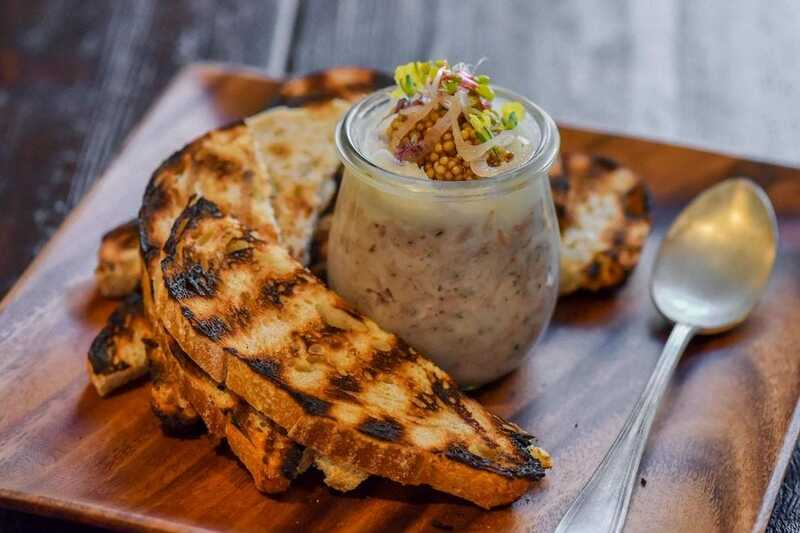 Just a few blocks from the ocean and steps from local wineries, this restaurant has a gorgeous patio, great cocktails and a menu that's dressed to impress. 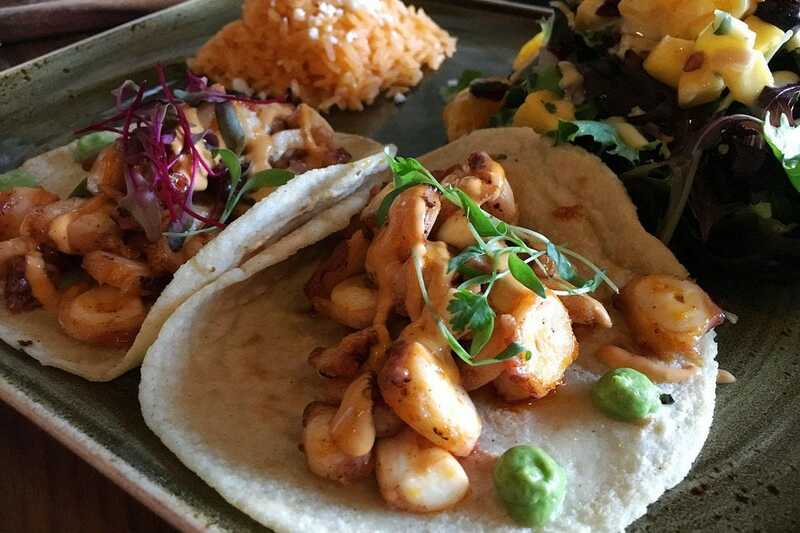 Order the tacos de pulps to indulge in tender discs of octopus, sauteed in chili oil and garlic. Or get the rib-eye tacos wrapped in thin, guajillo-infused corn tortillas served with grilled onions, cactus and peppers. There are also excellent ceviches and full plate meals. The guacamole here is sprinkled with pomegranate seeds and even the mocktails are expertly garnished. Date night worthy, for sure. 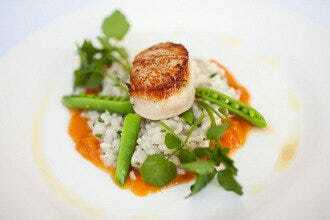 Make a stop at The Bear and Star before or after a day of wine tasting in Los Olivos for a meal to remember. 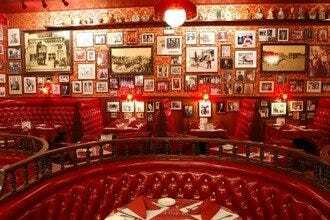 For one thing, it has one of the few full bars in the area, and for another, its seating options are comfortable, spacious and air conditioned (it gets hot up in the valley). 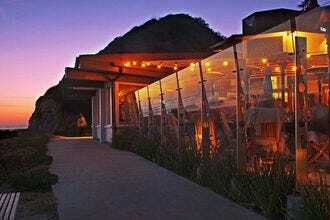 But most striking is the menu, a curated list of "refined ranch cuisine" that changes with what is in season. Most of the meat, eggs and vegetables are sourced from the restaurant's own ranch just seven miles away, including Waygu cattle that are raised there from birth. Everything is tasty but the appetizers are the true standout. 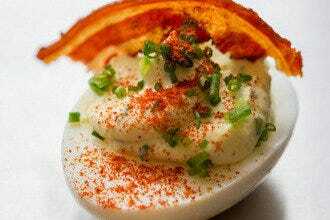 Don't miss the cornbread, deviled eggs and oysters. The Bear and Star is located in the Fess Parker Wine Country Inn and serves breakfast, lunch and dinner as well as brunch on the weekends. Billing itself as "unauthentic Indian," Bibi Ji is home to some of the brightest flavors in Santa Barbara. 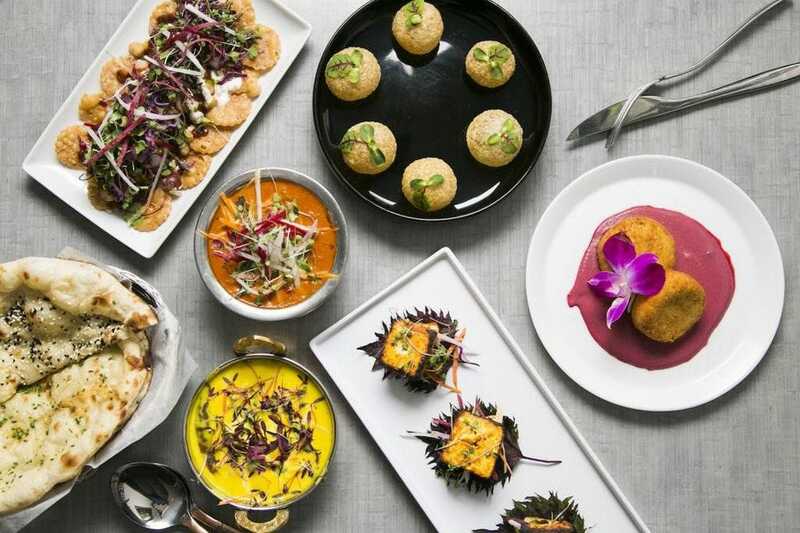 Helmed by chef Jessi Singh, known for his Babu Ji restaurants in San Francisco and New York, and opened in collaboration with celebrated sommelier and winemaker Rajat Parr, this restaurant and bottle shop is a hip destination for hungry people. Menu items change with the season. Most ingredients are bought fresh at the local farmers market or brought in by local farmers and fisherman. Try the uni biryani, yogurt croquettes and don't miss the gol gappa or "balls of happiness." There's a surprise inside! Open for lunch and dinner, walking distance from almost everything downtown.